High turnover rates can kill enthusiasm, productivity and ultimately your bottom line. Although there are many potential causes, poor management is one of the top reasons behind employee dissatisfaction and resignation. So, what types of boss behaviors are the most hated? A recent study by BambooHR polled more than 1,000 U.S.-based employees to gain some insight into this question. They put together a list of 24 undesirable boss traits and had the respondents rate these traits from ‘completely acceptable,’ to ‘completely unacceptable.’ Out of all the bad boss behaviors, there was one that stood out as the most despised: taking credit for an employee’s work. In fact, nearly 1 in 5 respondents listed a boss taking credit for their work as the primary reason for quitting their job. The survey also found a correlation between number of bosses and likelihood of leaving. The more bosses that an employee has had during their career, the more likely they were to have quit a job because of a boss. Employees with 1-3 bosses had a 35 percent likelihood of quitting because of their boss, whereas employees with 10 or more bosses had a 62 percent likelihood of quitting! So, what else did the survey reveal about bad boss behaviors and how they influence employee satisfaction? Check out the infographic below to find out! 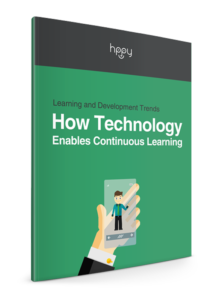 Download our eBook on Learning and Development Trends and find out how technology enables continuous learning in organizations.